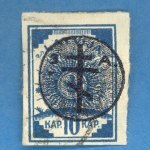 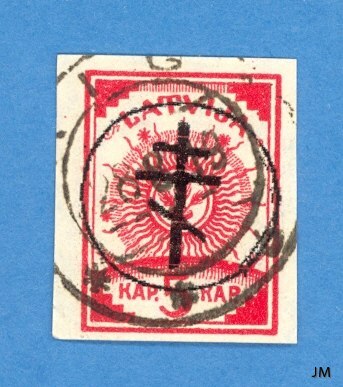 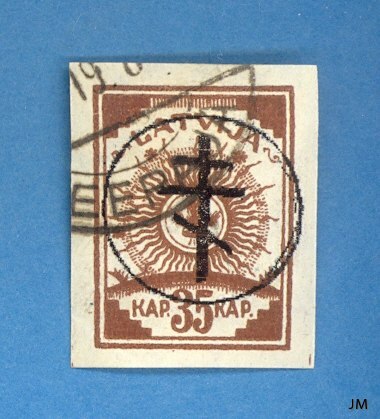 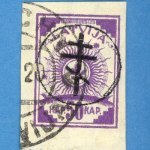 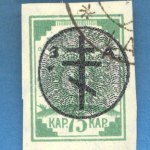 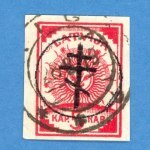 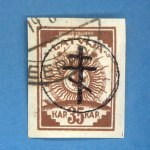 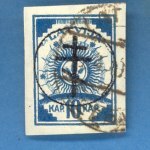 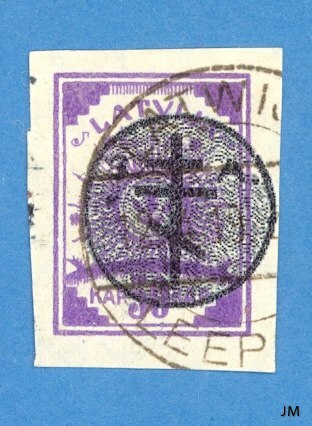 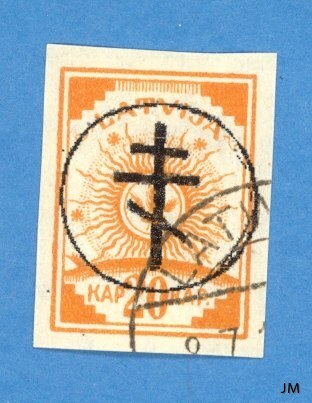 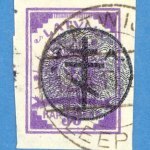 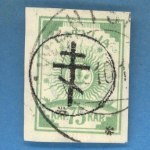 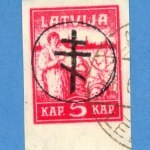 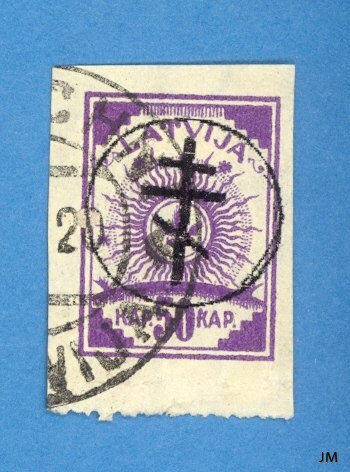 The Bermondt-Awaloff "stamps" - overprinted Latvian "sun design" and Riga Liberation issue stamps are some of the most appearing fakes of Latvian philately. 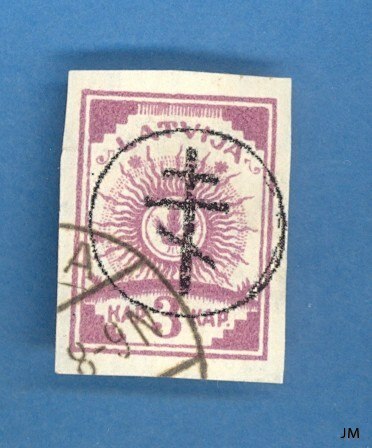 Recently "new" such forgeries has been seen on ebay. 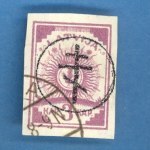 Evidently these bad overprints are done by somebody who doesn't know the origin of these stamps. 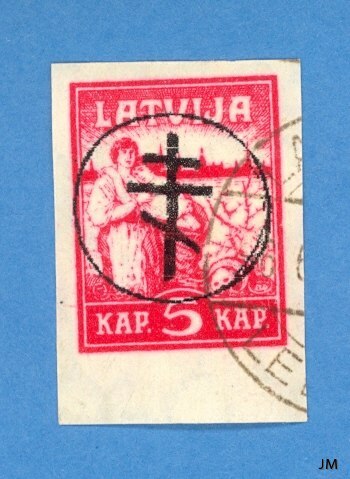 Don't talking about the overprint itself the stamps are cancelled with different postmarks as LEEPAJA, RIGA, WENTSPILS and LIMBASCHI. 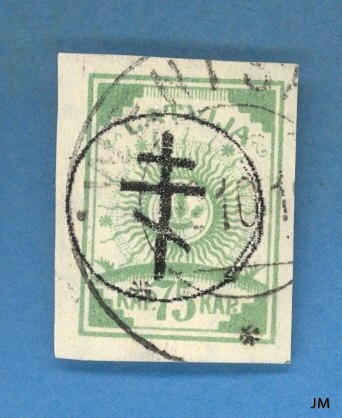 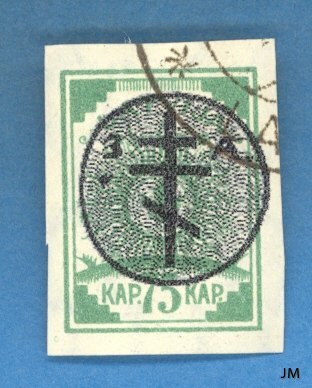 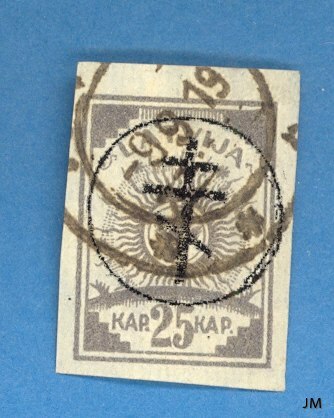 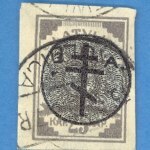 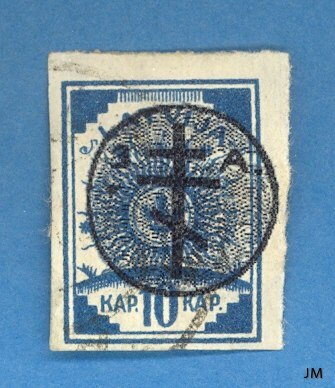 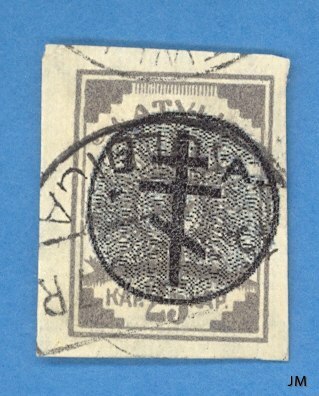 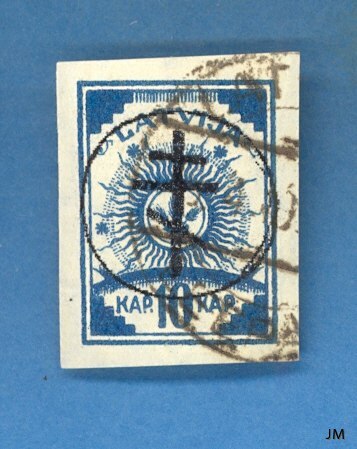 The origins are cancelled with JELGAWA or Russian MITABA postmarks only. 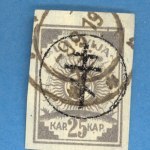 Used are stamps with these cancellations as above and then afterwards is the fake overprint overprint put on the stamp. 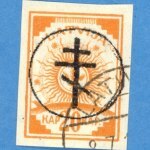 This is visibale when you enlarge the pictures by clicking on them.